A Conservative election promise to tackle some of the discrimination faced by disabled people appears to have been abandoned, with no mention of the pledge in yesterday’s Queen’s speech. The manifesto promise to “review disabled people’s access and amend regulations if necessary to improve disabled access to licensed premises, parking and housing” was absent from the speech and the associated briefing notes. The speech includes 27 bills and draft bills that the government plans to introduce over the next two years, with much of its focus on the process of leaving the European Union, and it also details 30 pages of non-legislative action the government plans to take. But the only mentions of disabled people in the 82-page briefing document come in the pledge to “make further progress to tackle the gender pay gap and discrimination against people on the basis of their sexuality, faith, disability, gender or race”. The associated two-paragraph section on disability refers only to measures the government has already taken, appointing 11 new disability sector champions, and continuing efforts to promote the use of social enterprises that support disabled people. There was also no mention of the need for more accessible housing in the Queen’s speech, or in the briefing notes. But separate plans to address the discrimination faced by people with mental health conditions in the workplace were included in the speech. The prime minister (pictured) had promised before the election that there would be “sweeping changes to the Equality Act”, and that a Conservative government would reform the act to prevent workplace discrimination, to protect employees with “intermittent” conditions such as depression, anxiety and bipolar disorder. Although yesterday’s speech made no mention of such legislative change, there is a reference to the pledge in the briefing notes, which say the government will look at how to ensure “those with mental ill health are treated fairly, protected from discrimination, and employers fulfil their responsibilities effectively”. On its wider plans for mental health reform, there apparently will be no new bill in the next two years, even though the Tories had promised in their manifesto to introduce “the first new Mental Health Bill for 35 years”. Instead, the briefing notes promise to “work towards a new Mental Health Act” and “consider what further reform of mental health legislation is necessary, including changes in how the [Mental Health Act] is implemented on the ground”. This will include examining why rates of detention under the act are increasing, and why a disproportionate number of black people are being detained, as well as a review of community treatment orders, which are being used far more often than intended when they were introduced by the last Labour government. The government also promises to publish a green paper on children and young people’s mental health. 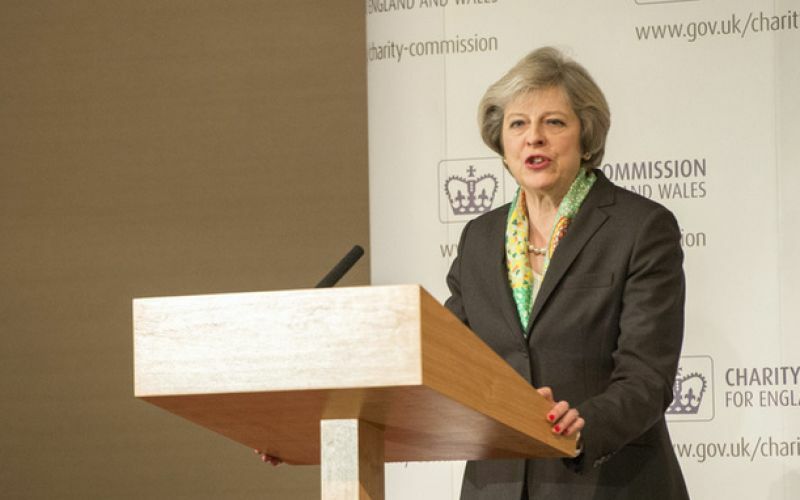 There will be relief among human rights campaigners that there was no mention in the speech of scrapping the Human Rights Act. Last year, user-led organisations warned that the government’s “horrifying” plans to replace the act with a British bill of rights would lead to a loss of vital legal protection for disabled people. That bill was mentioned in last year’s Queen’s speech but was never introduced, and the 2017 Conservative election manifesto said that a Tory government would not consider replacing the Human Rights Act until the process of leaving the European Union had concluded. Another omission from the Queen’s speech likely to please many disabled activists was the prime minister’s plan to increase the number of grammar schools. Laws currently ban any new selective schools and prevent existing non-selective schools from becoming selective, but the government wanted to expand existing grammar schools, create new selective schools and allow non-selective schools to become selective. A spokesman for the Department for Education suggested yesterday (Wednesday) that the government had not yet abandoned its plans, despite there being no mention of grammar schools in the Queen’s speech or the briefing notes.